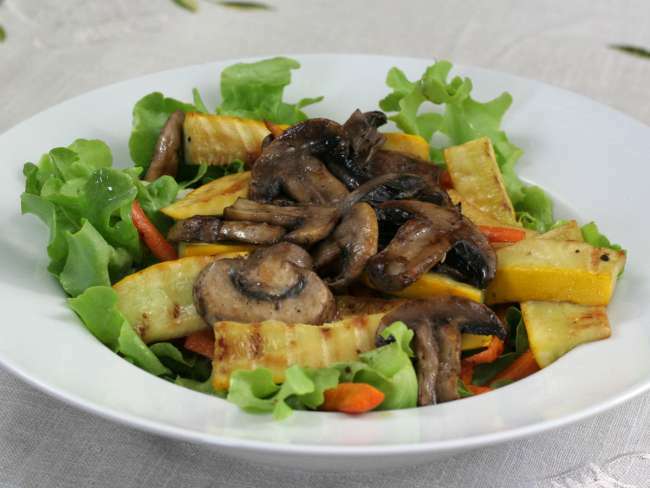 Tasty salad with mushrooms and crispy vegetables. Easy to digest, suitable as a main dish. 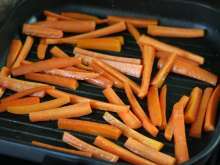 ut smaller carrots into small pieces and fry it on a grill pan with a drop of oil for 5 -10 min (they should remain crisp and sweet). 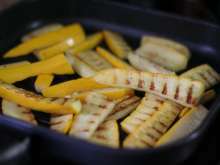 Cut zucchini into smaller pieces or rings and fry. 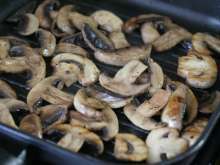 Slice mushrooms into thick slices and fry until golden brown. 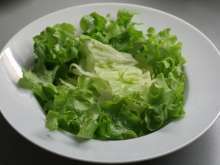 Pick oak leaves nad ice salad into large deep place. Sprinkle with balsamic vinegar. Put fried carrots, zucchini and mushrooms on thetop. Season with coarse salt and sprinkle with oil.